First Listen: Ryan Adams, 'Ashes And Fire' In the wake of a high-profile marriage, a trying bout with ear disease, and a two-year break from music, Adams returns with his sparest, mellowest record to date. 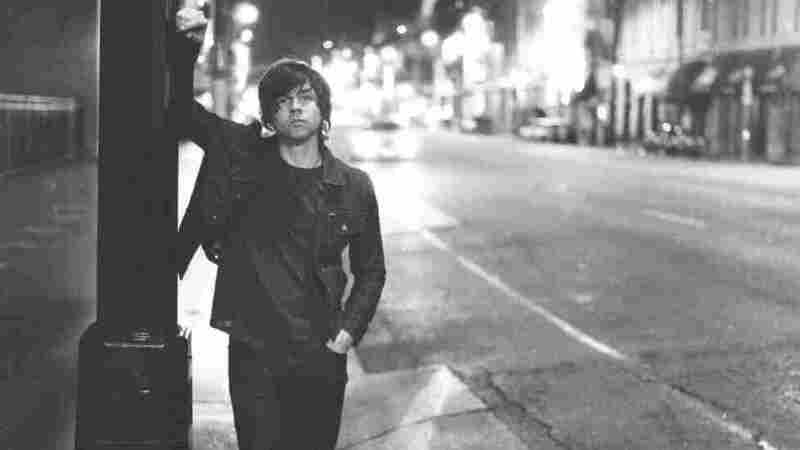 Ryan Adams' new album, Ashes & Fire, comes out Oct. 11. You never know which Ryan Adams you're going to get. Is he crooning, or is he raging? Is the music metal, or twangy country? He can successfully crib just about any style of popular music he chooses: the Dead, the Stones, The Flying Burrito Brothers — it's all in his wheelhouse. You can't help but ask: Will the real Ryan Adams ever stand up? Now, throw into that complex mix his recent marriage to Mandy Moore, a two-year hiatus from music (long for him, certainly), and a chronic and painful inner-ear affliction called Ménière's disease, which apparently causes him to hear strange tones and fall over things. No, it's not the drink or drugs: He says he's clean and living healthy. In a recent interview, Adams said he's had to completely relearn music because of the Ménière's. This time out, we have a happy (we hope) and clean (we'll take his word) Adams, making perhaps his sparest, mellowest record to date. His wife makes an appearance, singing a lovely, high harmony, and his friend Norah Jones pitches in, too. At the controls is the venerable Glyn Johns (father of Adams' sometime producer, Ethan Johns), who, at nearly 70, has records to his credit by The Who, The Rolling Stones, Eric Clapton and more. The result, Ashes & Fire, is soulful and low-key; not without edge but certainly more lean and hushed than, say, Easy Tiger. The lyrics are considerably softer — "I will shelter you with my love and my forgiveness," he sings, later adding, "Do you believe in love?" — but he's allowed to have a honeymoon record, right? It helps that Ashes & Fire, out Oct. 11, features the delicious work of keyboardist Benmont Tench, on loan from Tom Petty & The Heartbreakers. Tench adds color and character, particularly in "Dirty Rain." It's not his first time working with Adams, and here's hoping it's not the last.